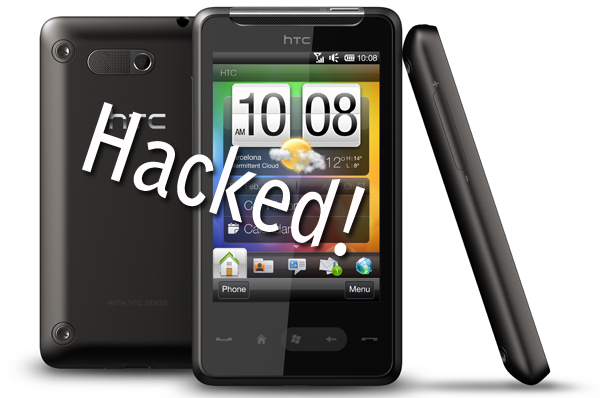 HTC HD Mini Gets Hacked, Now Runs Android ! The HTC HD Mini, also previously known as Photon, is pretty old as far as smartphones go--the Windows Mobile 6.5 phone was first released back in February 2010. So a XDA Developer member has given the cellphone a new lease of life by bringing Android and Linux OS to it. Forum member "Cotulla" managed to get the HD Mini running Android via the Haret Launcher, a file used commonly to boot Android on Windows Mobile phones. The ROM for the hack was created from similar HTC handset HTC Aria, which can be booted from a SD card. Add the files (Cotulla made a developer file and a user file, so pick your camp), launch Haret, and Android for HD Mini is yours! Sadly, the Linux OS is far from complete. Although the hack is up and running, it's not without it's problems. The battery driver doesn't work, and neither does the GSensor or WLAN. Some of the touchscreen buttons are also not perfectly aligned, so need a bit of work. Unfortunately, Cotulla is no longer working on the hack, leaving it to the rest of the developer community to complete it. If you are going to run this hack, it may be worth holding on until the hack is a little more reliable. As Cotulla points out though, instead of hacking this phone to run Android, it might be easier to just pick up a newer handset, or his recommendation, the HTC Liberty. Still, at least old Photon gets Android now, right?